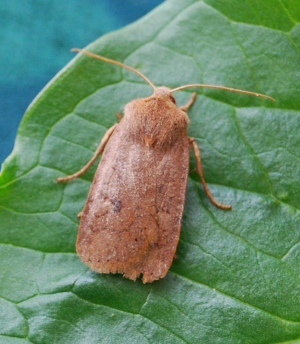 Observation - Moth - Chestnut - UK and Ireland. Description: First time we've seen this moth and we struggled a bit with the id, hopefully we got it correct in the end! First time we've seen this moth and we struggled a bit with the id, hopefully we got it correct in the end!